Last week I talked a bit about nupps. This week we'll look at Afield, which uses nupps in one of their most iconic pattern-types, the lily-of-the-valley pattern, or maikel in Estonia. These curvilinear patters are shaped by separating the decreases from their matching yarn overs. The nupps are placed next to the yarn over increases, and follow their curves. They are found in between the increases and decreases (otherwise they don't follow the shaping). They are first cousins to the many Shetland shell and similar patterns. They come in singles, doubles, mirror images, half-steps, and every variation. Lily-of-the-valley patterns add delicacy and beauty to so many knit pieces. 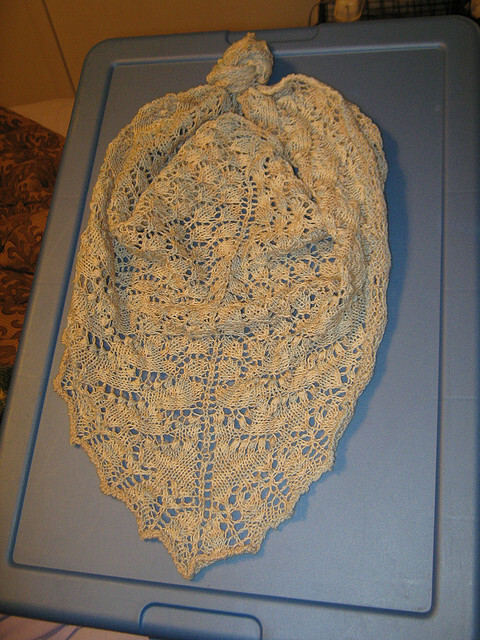 A shawl with Shetland edging; you can easily imagine adding nupps to the shell pattern. The Afield pattern features a leg with alternating lily-of-the-valley patterns. The foot continues the same shaping minus the nupps (for comfort as nupps are lumps which won't feel pleasant pressed between the foot and the shoe). It is an easy stitch pattern to work; quickly memorized, and not prone to errors as the location of the next row's nupps and increases are always easy to see. 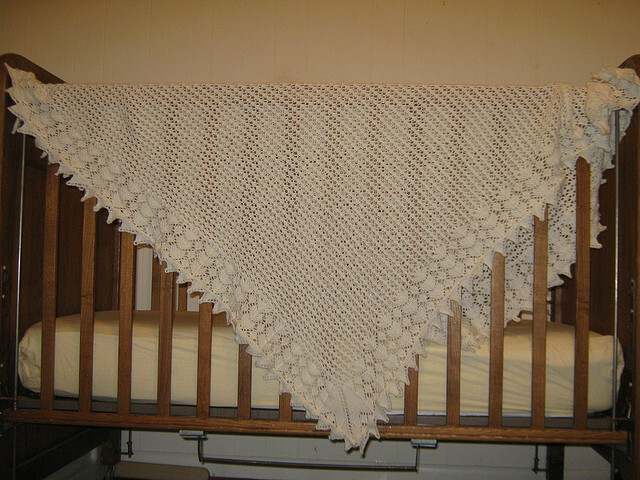 Many knitters' first exposure to lily-of-the-valley patterns was Evelyn A. Clark's well-known Swallowtail Shawl, first published by Interweave and now available through the designer's website for free, with complete instructions for multiple yarn weights. It's a lovely way to practice the stitch pattern, as the maikel pattern doesn't occur until the outer area, following a small leaf pattern in the main body of the scarf. 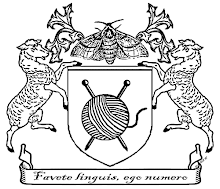 I myself love this pattern so much that I have knit it in cotton yarns, alpaca, yarns, sock-type yarns, and 100% wool yarns. 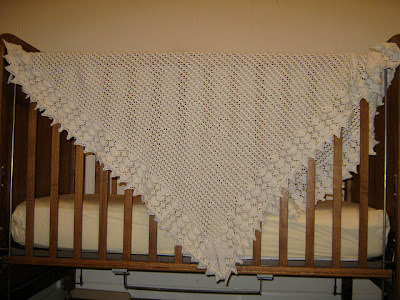 One of the many Swallowtail Shawls I have knit. A variety of lily-of-the-valley patterns can be found in Nancy Bush's "Knitted Lace of Estonia," and in many stitch dictionaries. Try your hand at creating a variation of your own by selecting a shell or horseshoe pattern and adding in nupps. The effect will delight you.